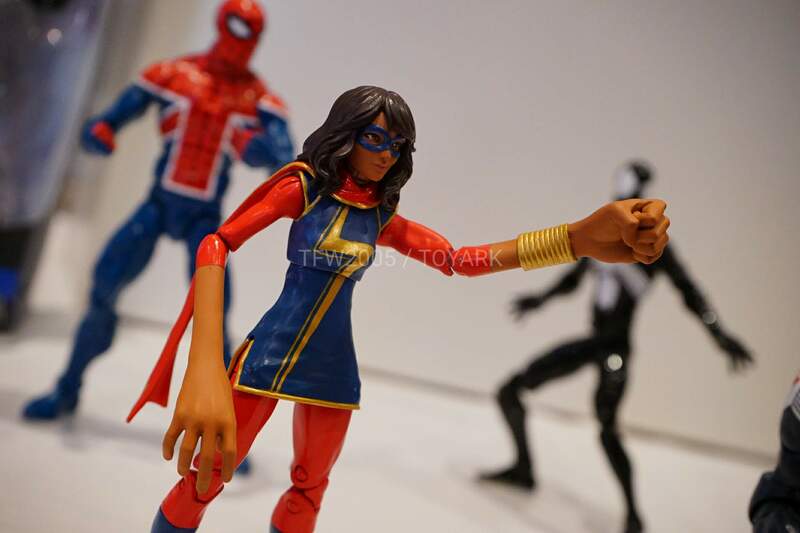 We take a look at the SDCC 2016 Marvel Legends display in San Diego Comic Con which includes MCU Doctor Strange and the first new Ms. Marvel action figure. 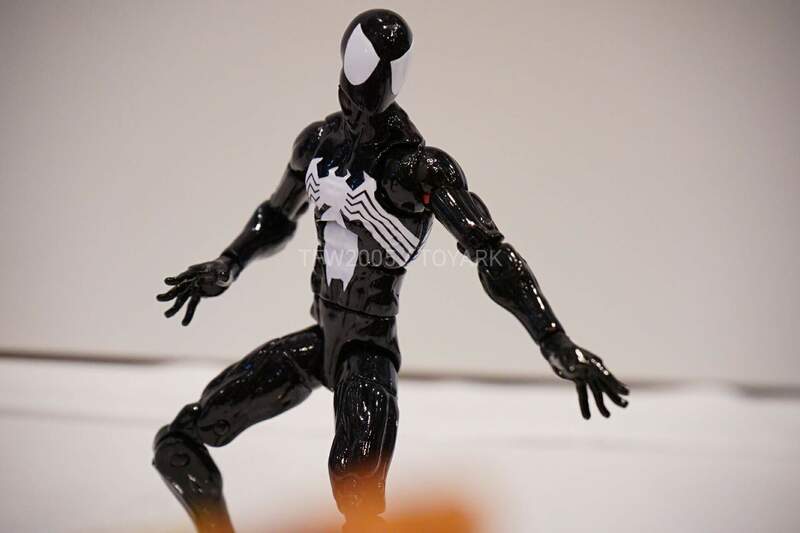 Huge credits to Toyark.com as well for the photos. 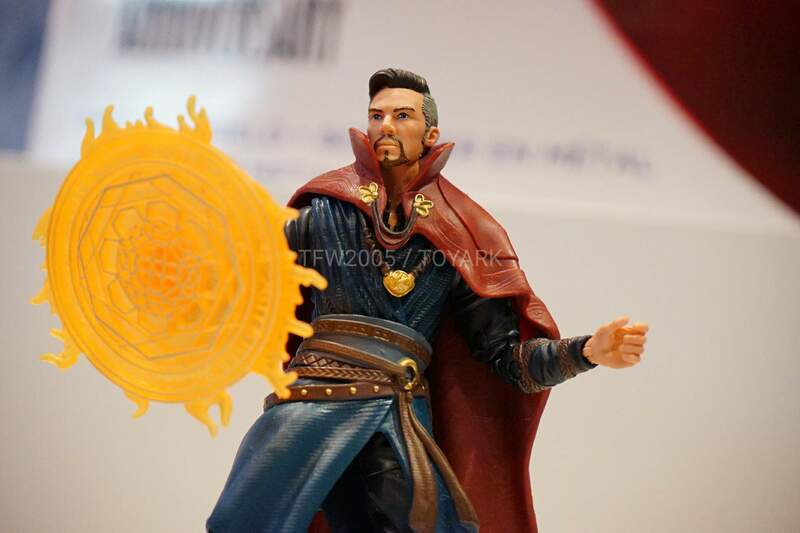 First off, take a look at this set of photos featuring MCU Doctor Strange which will be played by Benedict Cumberbatch. 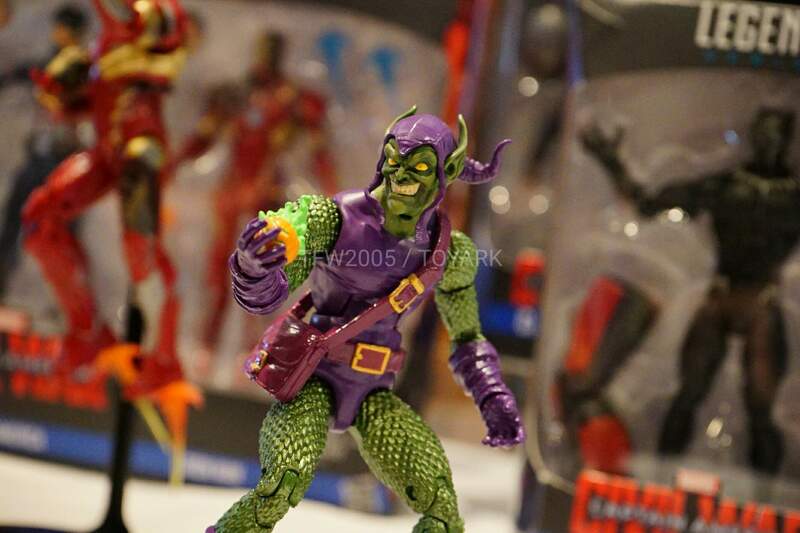 Marvel and Hasbro got with the details on the figure alone. 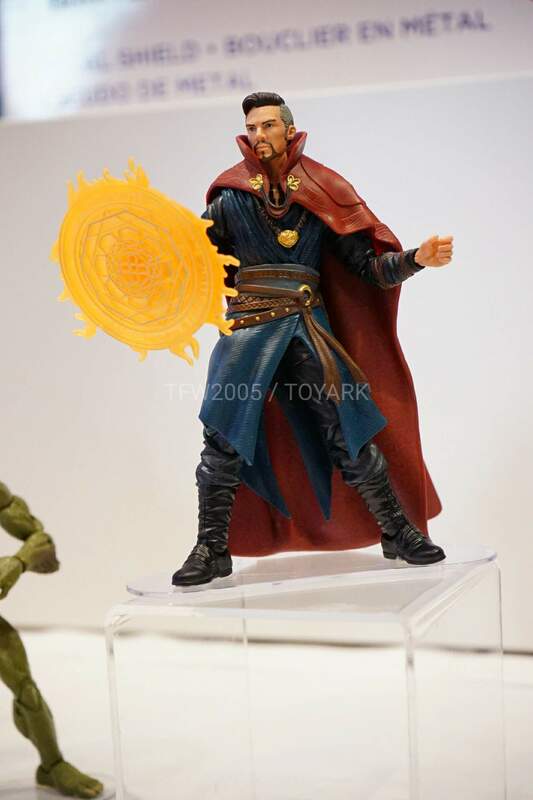 That astral/ magic shield he has as an accessory is really just icing for the cake. Sold. 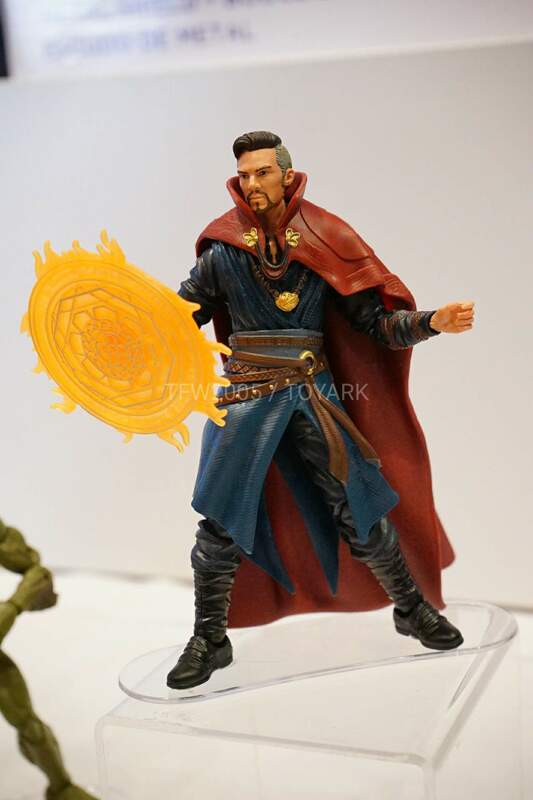 Where do we pre-order? 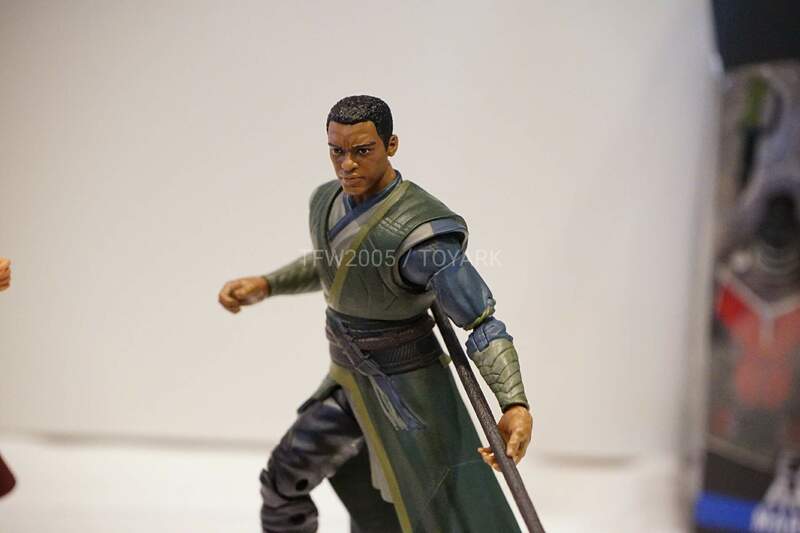 Next up is a look at the Baron Mordo figure. 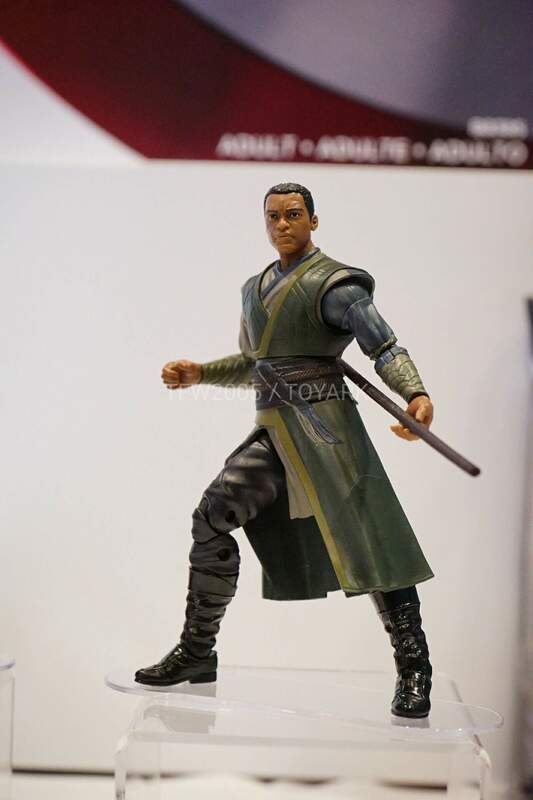 The Baron Mordo character will be played by Chiwetel Ejiofor; if your unfamiliar with the character, he’ll eventually become the bad guy and one of Stephen Strange’s most bitter rivals when it comes to magic. 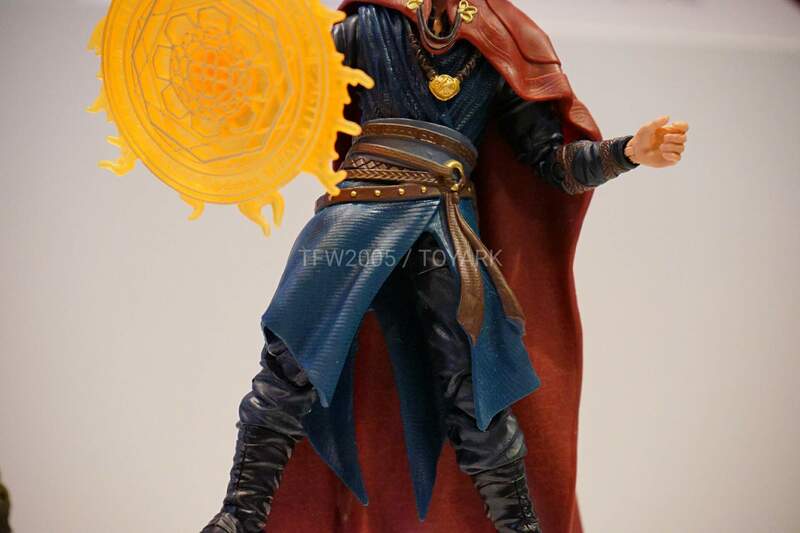 Simply put while Strange got good thanks to the Ancient One, Mordo allied himself with the dark lord Dormammu. 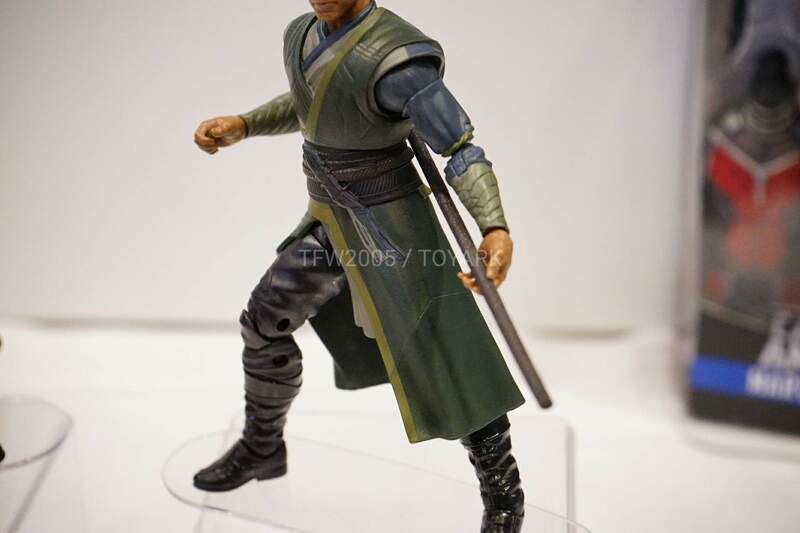 Decent figure, nothing really worth talking about at this point. Let’s just wait for the official photos. 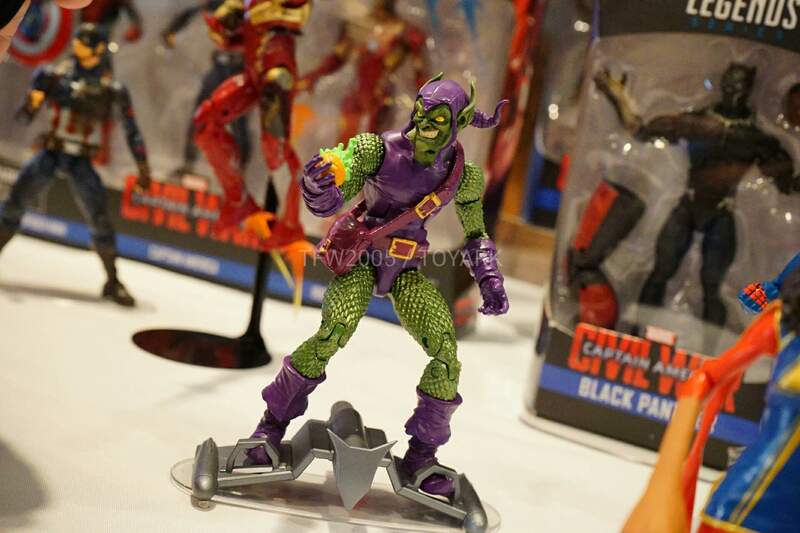 We also have several charming figures, a mix of new molds and some repainted figures and more importantly a really, really good looking Green Goblin for the Marvel Legends line. 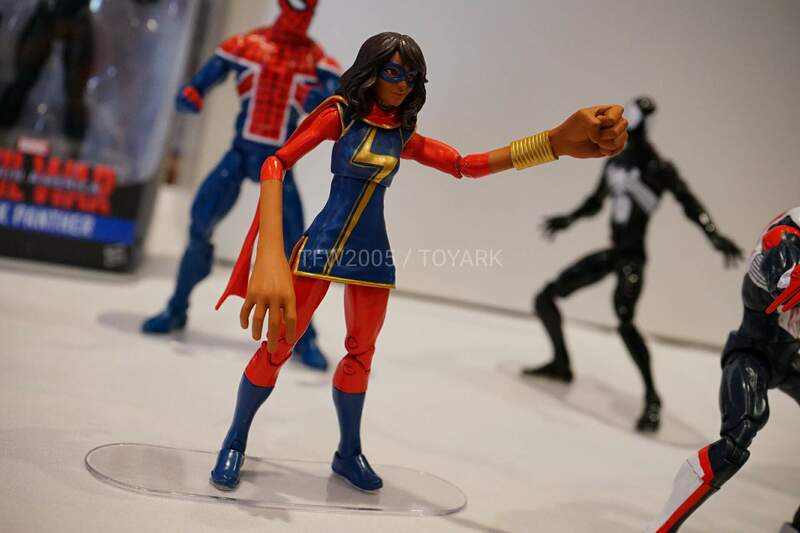 I’m hoping that this would the actual wave already. 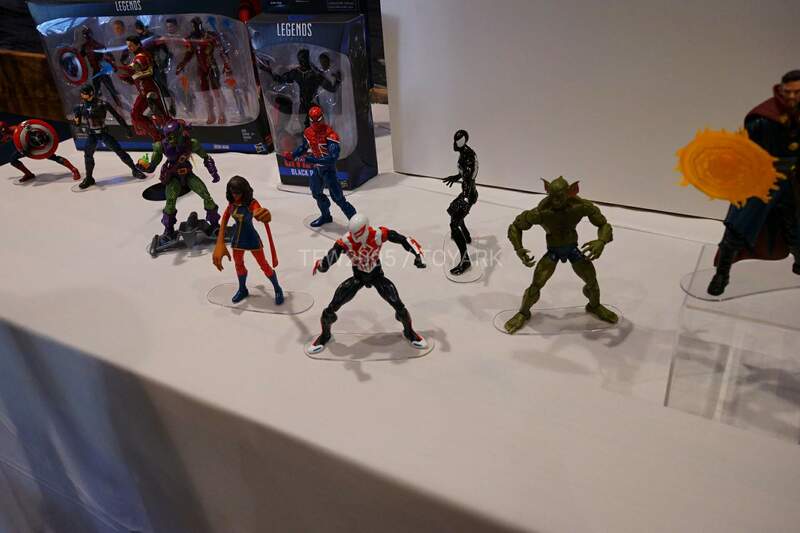 Is that another Spider-Man 2099 figure? 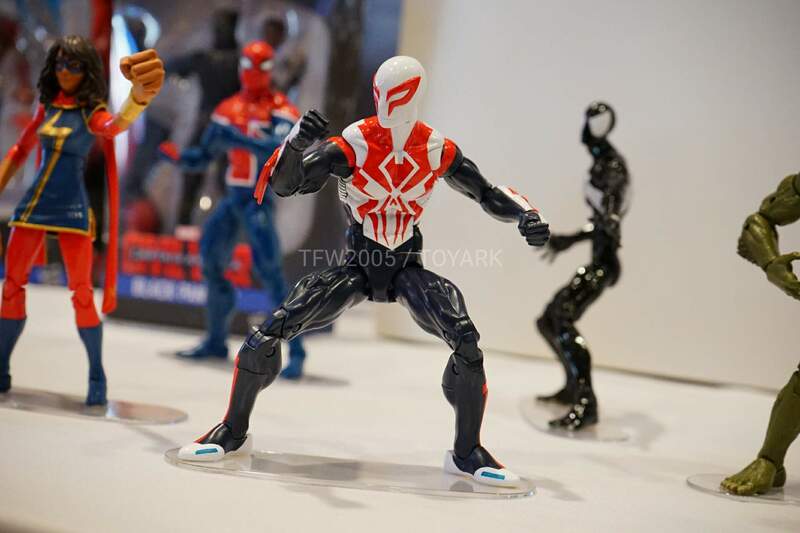 Kinda neat but the white isn’t working for me. Tsk. 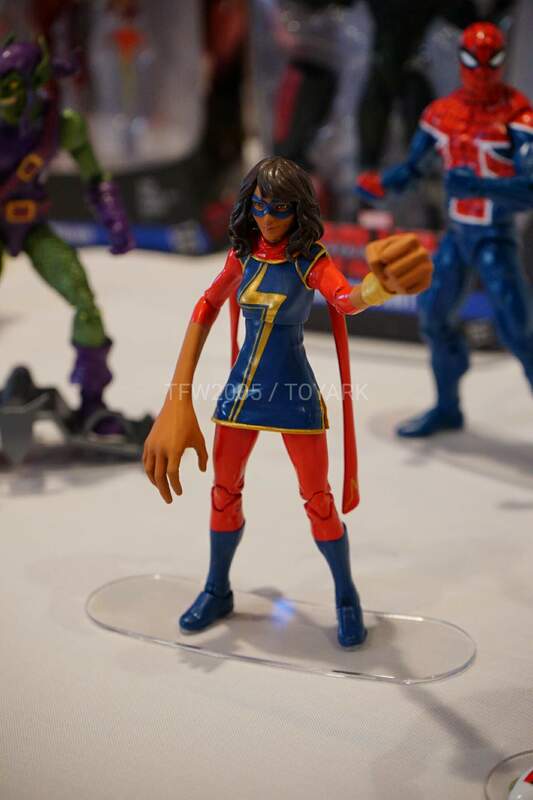 It looks like this would be my “first pick”. 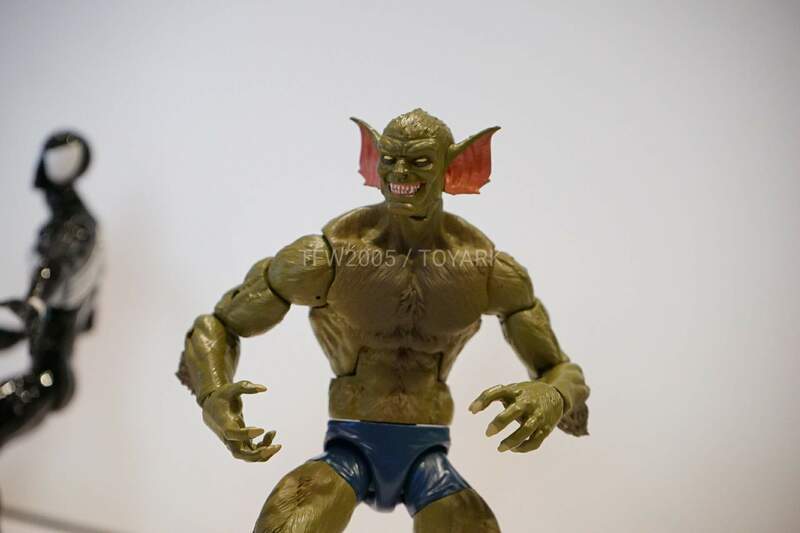 I could have sworn I’ve seen this mold for the figure. 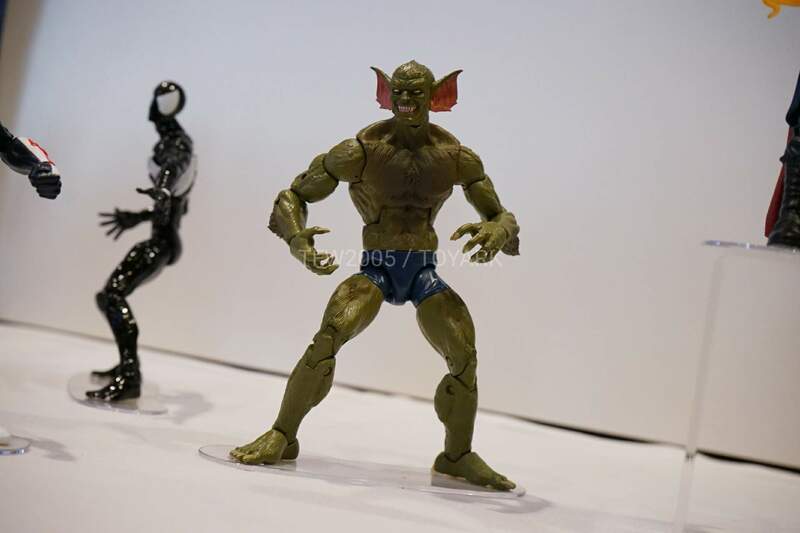 New head mold for the Jackal (the baddie responsible for the Clone Saga) and extra accentuations for the arms and legs. 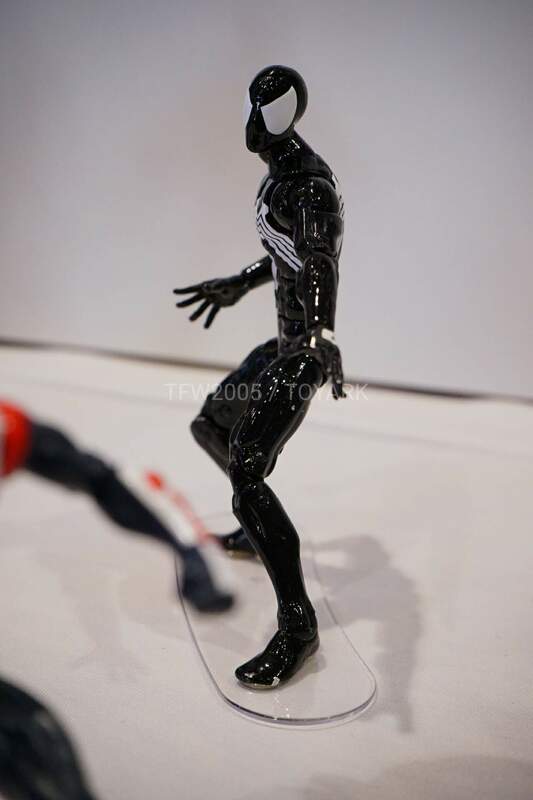 And now we’re here to probably the BEST figure of them all. 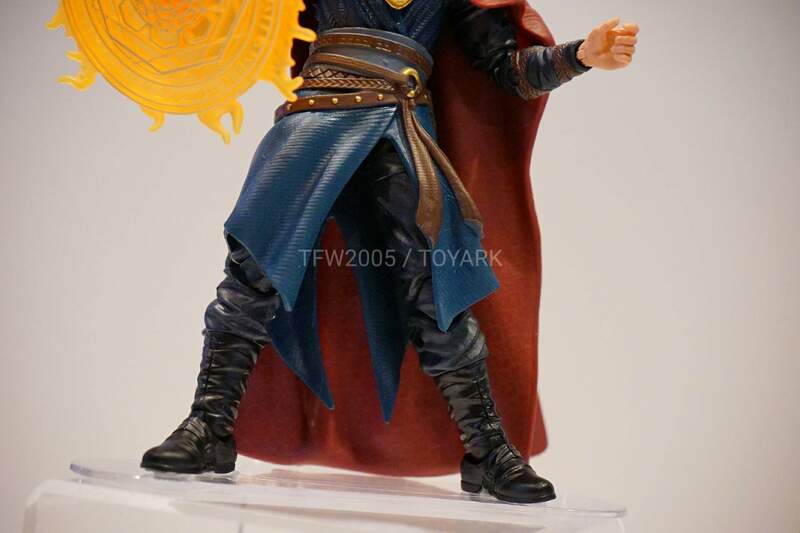 The figure looks fancy and I’m really hoping that there are other options that can be used for the figure.